(1998/ACE) 26 tracks - Imperial & London sessions 1960-84 with 12p. booklet. 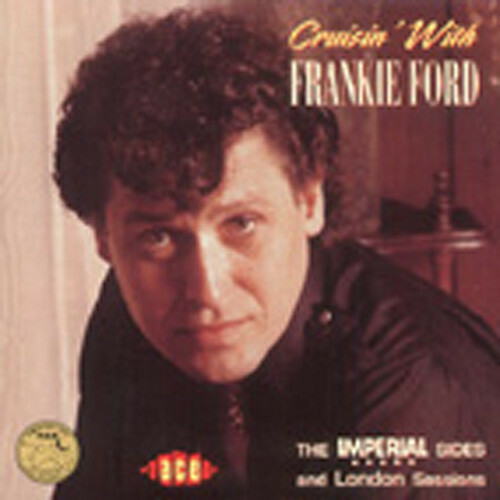 Frankie Ford, born in 1941 in Gretna, Louisiana, rose to fame when his second record, 'Sea Cruise', was a Top Twenty hit in 1959 on the Ace label. It is now recognised as a New Orleans rock'n'roll classic, but the hit was obtained at the expense of Huey 'Piano' Smith, whose original vocal tracks were wiped off in favour of Ford's — the same thing happened with the follow-up `Alimony'. In 1960 Ford had a small hit with a cover version of Joe Jones's 'You Talk Too Much' on Imperial but a spell in the Army in 1962 effectively ended his career as a recording star. He has recorded on and off without much success since then, and now plays standards with great poise for the milling throng of tourists in his own nightclub in New Orleans' French Quarter. Customer evaluation for "Cruisin' With Frankie Ford"